In New York City, victims of domestic violence may obtain an Order of Protection from a criminal court, the Supreme Court, or from Family Court. A criminal court order of protection may only be issued against a person who has been charged with a crime. This type of order of protection is usually issued as a condition of defendant’s release from prison or as a condition of release on bail. In a criminal case the prosecuting attorney may request an order of protection for a victim or complaining witness, and a judge may issue the order depending on the facts of the case. A criminal court order of protection may be issued even if there is no prior relationship between the victim and the defendant. A Supreme Court order of protection may be issued as part of an ongoing divorce proceeding. If you are involved in an ongoing divorce case you may request an order of protection from the Supreme Court either orally during a court appearance or by written motion to the Court. This type of order of protection is usually issued against a spouse either before or during a divorce proceeding. Someone with whom the victim has had an “intimate relationship”. An intimate relationship does not have to be a sexual relationship. A relationship may be considered intimate depending on factors such as how long the parties have known each other, and how often they see each other. To obtain an order of protection in Family Court you need to file a form called a Family Offense Petition (to view or download this form and other forms click onto the Forms link at the top of the screen). You may contact the Family Court in your county for help completing and filing the petition (Family Court contact information for each of the five counties of New York City is set forth below under “Where to File”). You should speak with an attorney or domestic violence advocate before filing if possible. There is no charge for filing in Family Court. Once you have filed you will see a judge who will listen to your testimony and evidence and decide whether to issue a Temporary Order of Protection. 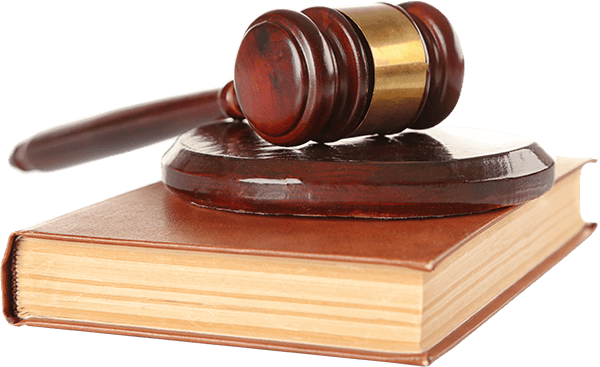 If an order is entered, then the case will be scheduled for a prompt hearing. After the hearing and depending on the testimony and evidence offered at the hearing the judge may issue a final order of protection. What Types of Relief and Conditions May Be Included in an Order of Protection? To order temporary payment of child support and award temporary custody of children to petitioner. WHERE TO FILE: You may file a family offense petition at the Family Court in either the county where petitioner (victim) lives, the county where respondent (abuser) lives or in the county where the alleged abuse took place. Petitioners who want to keep their address confidential should specifically state that in their petition, and should state it to the Court when filing. Summons (The summons form is not available on this website because it must be issued by the Family Court after you file your petition). Family Offense Petition (Click the FORMS link above to view or download this form). Temporary Order of Protection (Click the FORMS link above to view or download this form). The Family Court should give you instructions on how to serve the papers on the respondent. You have the right to have the papers served by the local police department or sheriff’s office. You should call the sheriff’s office to find out the fee to serve the papers for you. It is crucial that you make service as soon as possible because the temporary order of protection is not valid until it is served on the respondent. Furthermore, if you have not made service before the date of the hearing, the Court will most likely postpone the hearing. The Court generally will not enter a Final Order of Protection if the respondent has not been served with the Summons, Petition and Temporary Order of Protection before the hearing. The petitioner is not allowed to try to serve the respondent because petitioner is a party in the case and parties in a case are not permitted to make service. Also, it may be dangerous. If you wish to have your court papers served for you it is highly recommended that you use a professional process server such as Heaven Sent Legal Services. You are now on the Heaven Sent Legal Services website. To see our price list for service of process nationwide click the “Services“ link at the top of the screen. The fee for service of process in New York City is $85 for service within 3-5 days and. We also offer rush service if you wish service of process to be completed in one day. For further information you may call Heaven Sent Legal Services at (866) 331-4220.